“For the wrath of God is revealed from heaven against all ungodliness and unrighteousness of men, who by their unrighteousness suppress the truth. For what can be known about God is plain to them, because God has shown it to them. For his invisible attributes, namely, his eternal power and divine nature, have been clearly perceived, ever since the creation of the world, in the things that have been made. So they are without excuse” (Romans 1:18–20; all Scripture quotations are from the English Standard Version unless otherwise indicated). and the sky above proclaims his handiwork. and night to night reveals knowledge. whose voice is not heard. and, like a strong man, runs its course with joy. and there is nothing hidden from its heat” (Psalms 19:1–6). “I have concluded that we are in a world made by rules created by an intelligence…. To me it is clear that we exist in a plan which is governed by rules that were created, shaped by a universal intelligence and not by chance…. 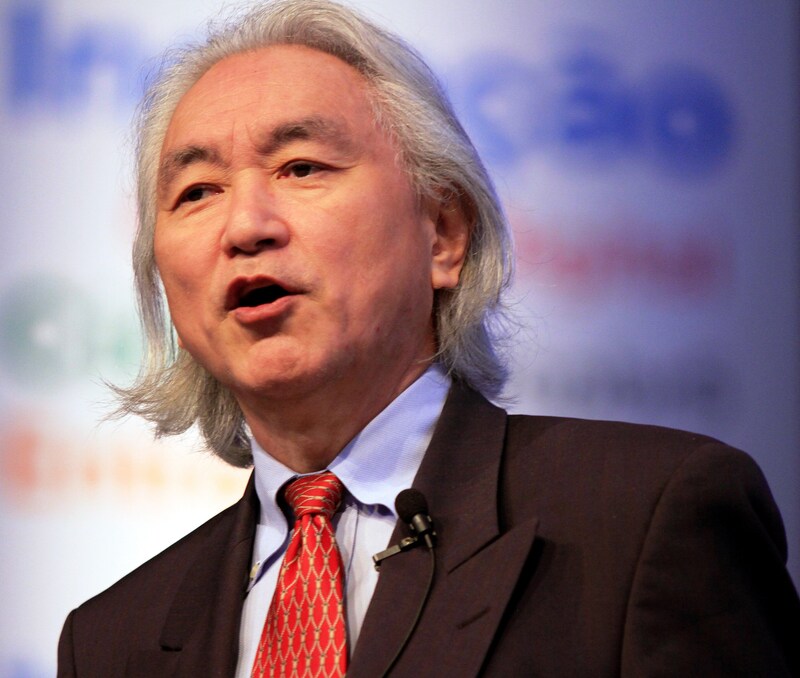 The final solution resolution could be that God is a mathematician” (Michio Kaku, https://www.intellectualtakeout.org/blog/world-famous-scientist-god-created-universe). “The significance and joy in my science comes in those occasional moments of discovering something new and saying to myself, ‘So that’s how God did it.’ My goal is to understand a little corner of God’s plan” (Henry F. Schaeffer III, https://www.azquotes.com/quote/587238). “There is for me powerful evidence that there is something going on behind it all…. It seems as though somebody has fine tuned nature’s numbers to make the Universe…. The impression of design is overwhelming” (Paul Davies, https://www.azquotes.com/author/3690-Paul_Davies). I could go on. Early in my career in scientific publishing, when I was a proofreader, I occasionally worked on papers written by Juan Maldacena, a famed string theorist who has compared the universe with a giant hologram. He ended some manuscripts “In Jesus’ name” (this one-sentence paragraph would be deleted by the copy editor, as per editorial policy of the journal). These are big names in science. Kaku has become virtually a household name by appearing on countless television shows about astronomy and physics. Schaeffer is one of the most respected chemists in the world, publishing numerous articles in both chemistry and physics journals. Maldacena, likewise, is one of the world’s top theoretical physicists. While atheists and agnostics, like Stephen Hawking and Neil de Grasse Tyson, are more well-known to the general public, Kaku, Schaeffer, and Maldacena are in their league in terms of respect within the scientific community. I say this merely point out that these highly influential men believe in a higher power or intelligent designer. Schaeffer and Maldacena have openly professed their faith in the biblical God and Jesus Christ. Kaku and Davies acknowledge a designer or creator who may not be the God of Scripture (in his book, The Mind of God, Davies essentially states that he does not believe the creator is the same as the God of any religion). Other scientists who profess faith in some kind of God include NIH Director Francis Collins and Nobel Prize winner Werner Arber. Prominent scientists who openly profess faith in Jesus Christ include Nobel Prize winner Gerhard Ertl, Freeman Dyson, among others. This is a very brief list. One can visit this page to see a more thorough listing of scientists who profess to be Christians. While not all may be strictly biblical Christians (few of the men and women on this list believe in literal seven-day creationism), they profess belief in God in some sense. Thus, the notion that educated people are atheists is simply not true. Tyson, Dyson, Schaeffer, Davies et al. have all placed their faith in a particular world view. 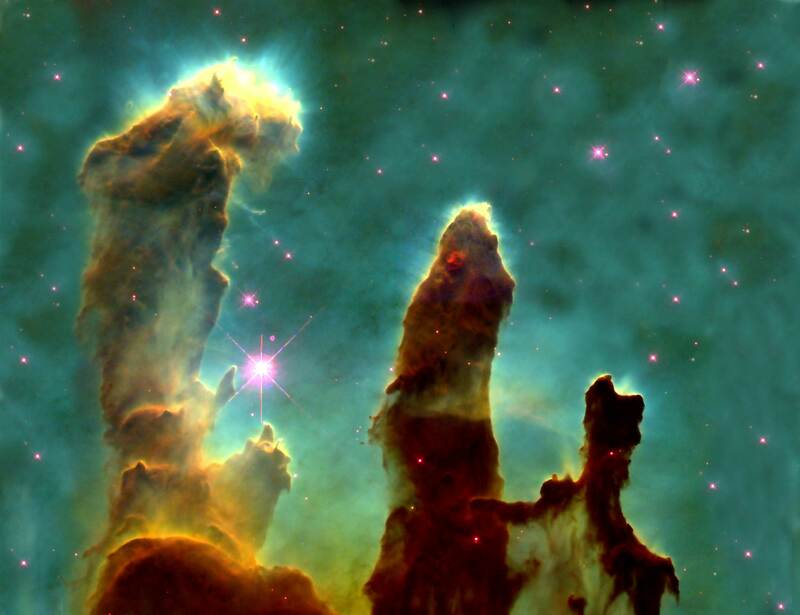 Their faith guides their science just as much as their science informs their faith. Some scientists are atheists; some are agnostics; some believe there is some kind of God who created the universe, but they cannot bring themselves to believe in any specific religion; and some have come to know Jesus Christ as the Son of God and Savior of the world. “In the beginning, God created the heavens and the earth” (Genesis 1:1). The Bible does not begin by trying to figure out where God came from (some ancient religious texts tried to explain the births of their deities, often in ways that would seem weird or repulsive to most of us). It begins by stating that God created the heavens and the earth. As Psalm 19:1 points out, the heavens declare God’s glory. All of creation reveals His splendor. The vision beheld by the eyes of faith grows in the face of greater revelation. The prophet Isaiah saw God as one who sat enthroned above the “circle of the earth” (Isaiah 40:22—no, Christianity has never taught a “flat Earth,” contrary to a notion popularized by fiction author Washington Irving). The modern Christian, informed by modern science, realizes that our universe is so much bigger than the heavens that the biblical authors could see. As we look at the universe, we merely recognize that God is even bigger than we previously imagined, merely because the universe itself is so incomprehensibly huge. “It may seem bizarre, but in my opinion science offers a surer path to God than religion” [Paul Davies, God and the New Physics (Simon and Schuster, 1984), p. 9]. God has not left us alone. He displays His glory and power in creation. He reveals some of His nature within our hearts since He has created us in His image (Genesis 1:26-28). But, He does not leave us to figure it out alone. He also reveals His mind and wisdom to us in His Word, the Bible. Most importantly, He reveals His love, grace, compassion—the very essence of His being—to us through His incarnate Son, Jesus Christ our Lord. Copyright © 2019 Michael E. Lynch. All rights reserved.